Farther! Faster! Upgrade! Farther! Faster! Upgrade! Rinse and repeat. That right there pretty much sums up Car Launch, in how you’ll start slow, accellerate up the ramp, and then go flying… after which it’s time to spend earnings and do it all again. And again. And again. That’s not to say there is zero fun to be had here, though. Launching a tiny orange car off a ramp may not be the most exciting thing in the world, but what if you could expand said ramp? Perhaps even add to the runway, as you go about increasing various aspects of your vehicle after each attempt at flying high and/or far? Because in Car Launch, it’s all about the grind. The grind and… you know, going the distance. Little by little, until you think to yourself that this is it. Best I can do. Until I upgrade that is! Did I emphasize the importance of upgrading with your earnings? Top speed, accelleration, bounciness, runway length, ramp length, friction and even various aspects of ‘boosts’ can be upgraded with enough money. 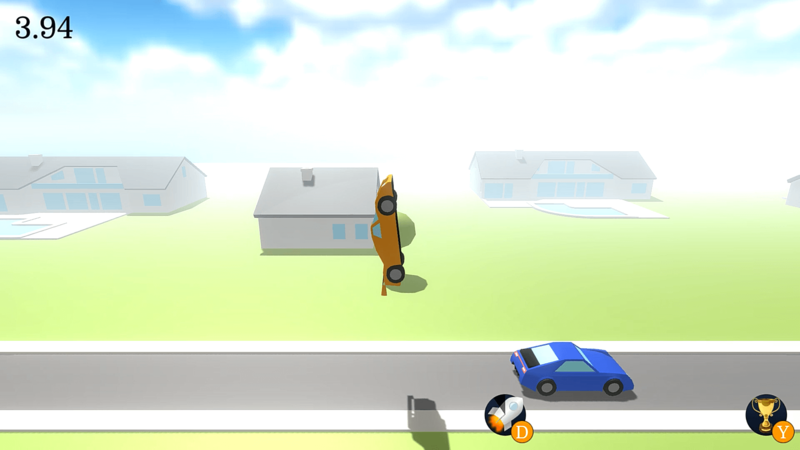 Money which comes at the end of each run, based on how far you managed to go, leaping/bouncing/flying over various obstacles – including other cars. Might not sound like much, but that’s fine. It is what it is. Ain’t trying to be more than a fun little arcade-y experience, and that… it most certainly is. Hold down ‘W’ to accellerate and press ‘D’ to boost – that’s about all there is to it. Oh, and you’ll want to find a balance between top speed, accelleration, runway, ramp and friction, in order to maximize earnings. If one or more factors are ‘off’, you’re far more likely to end up not going full-speed up the ramp, significantly reducing air time; and thus, distance. How far can you go/drive? 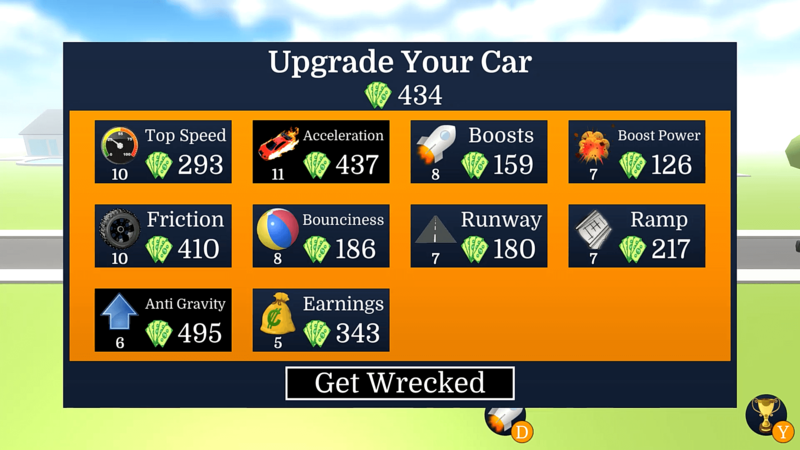 Car Launch (Windows/Android) is available from itch.io, carrying a pay-what-you-want price tag.